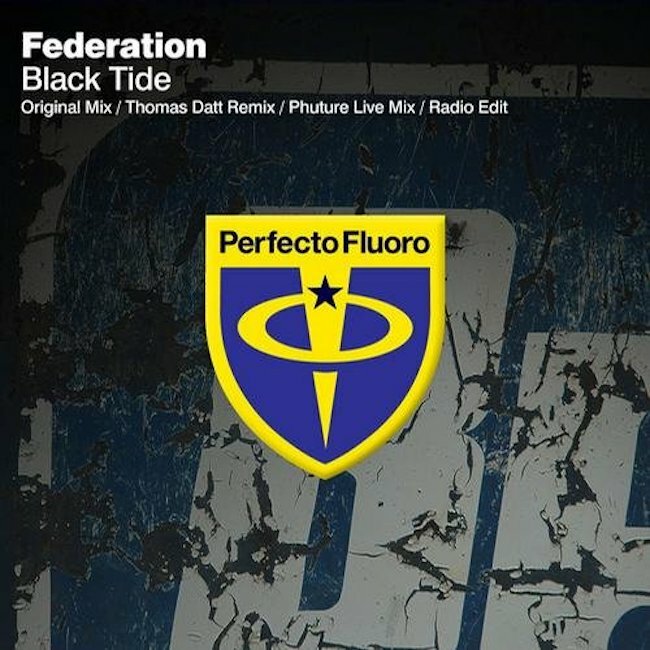 Federation - Black Tide - Solarstone. All clad in black the new goth-psy-trance super group Federation return with yet another ground breaking single set to reinforce their position as pioneers of the new middle ground trance scene that has spawned from the area between trance and psychedelic. After their explosive debut live performance at Slinky’s 15th Birthday in the UK earlier this month, where they took the roof off in front of a packed out capacity crowd at the O2 Arena, you can rest assured that live Federation is just as explosive and unique as their studio work suggests. “Black Tide” is Federation’s 3rd single and it further embraces the bands influences in gothic rock as well as their respective individual abilities as successful EDM recording artists. This is trademark Federation. Moody guitar riffs, evocative vocals with driving drums and bass, this is slick and classy from the word go!